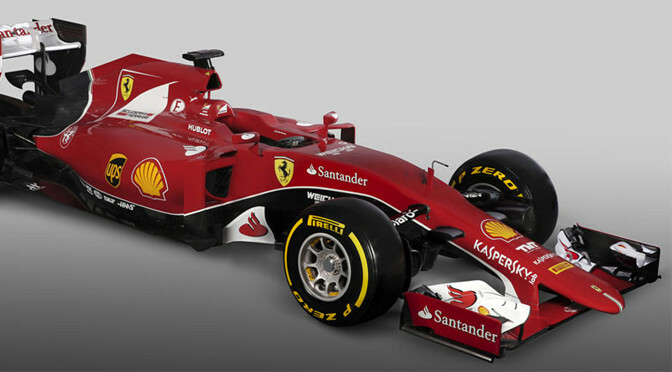 Ferrari has unveiled its 2015 Formula One car, the SF15-T, from its headquarters in Maranello. The car is a significant one for Formula One’s oldest and most prestigious team as it marks the start of a new era under new management as well as coinciding with the arrival of four-time world champion Sebastian Vettel. The SF15-T is the first Ferrari to be fully designed under technical director James Allison and is also the first to be launched by under the new management of Maurizio Arrivabene as team principal and Sergio Marchionne as president. Both the car and the power unit will need to be a dramatic step forward if the Italian team is to close the gap to Mercedes at the front of the field, but the car looks certainly different to the 2014 with a new longer nose to conform to new regulations and tighter bodywork towards the rear. However, one area that remains the same is Ferrari’s pull-rod front suspension, which is at odds with the rest of the field that (of the cars launched so far) run push-rod. It is a feature that is often picked up on in the media, but Allison said changing to push-rod suspension would not have provided any significant advantage and would have cost aero performance. “Every year you set out which areas of the car you should put your effort into to try to improve them,” he explained. “These are decisions that need to be taken quite carefully because when you make a choice of working on one part of the car – because you don’t have infinite resources – you are effectively making a choice not to work on another part. When you decide what to work on you have to pick quite carefully the areas that are going to give maximum return for your effort. Vettel officially leaves Red Bull at the end of this year, the team which funded his junior career, gave him his break in Formula One and delivered him to four world titles. He comes to Ferrari off the back of seven barren years without a drivers’ championship for the Italian team, but Marchionne has praised his new driver’s faith and desire to turn it around. 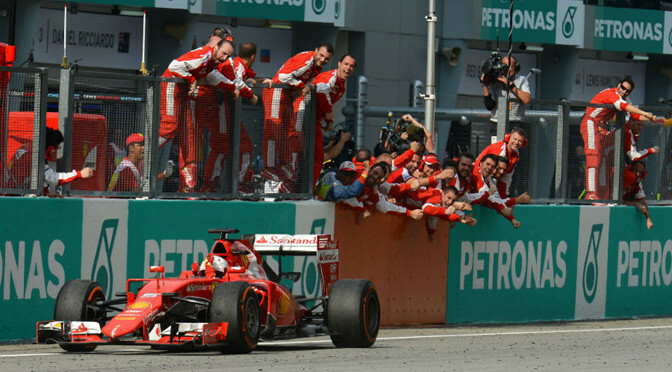 Vettel joins Ferrari following a purging of staff, including a second change of team principal in less than 12 months. The new boss, Maurizio Arrivabene, was keen to set the record straight with both drivers, reminding Vettel and Kimi Raikkonen they are employees after Fernando Alonso spent much of his five years at the team lobbying for more power within it. “Vettel brings with him the experience of winning, he has his four world titles and the enthusiasm to work together,” Arrivabene said. “He certainly wants to make the Scuderia grow alongside us. Having said that, even though drivers may be luxury employees they are still employees and they must work together with others. 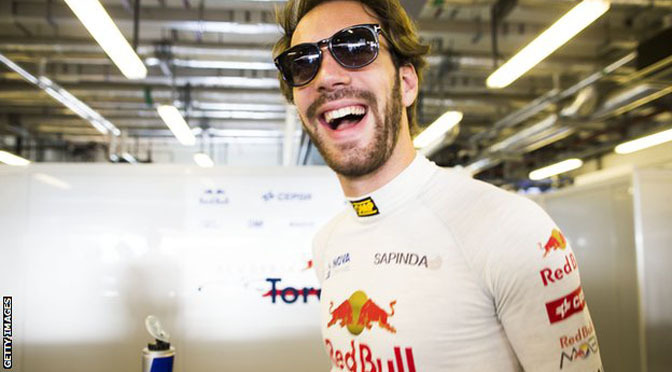 Ferrari have hired former Toro Rosso driver Jean-Eric Vergne to work on car development in their simulator. The Frenchman was dropped by the Red Bull junior team last monthand had been looking for a new role in F1. 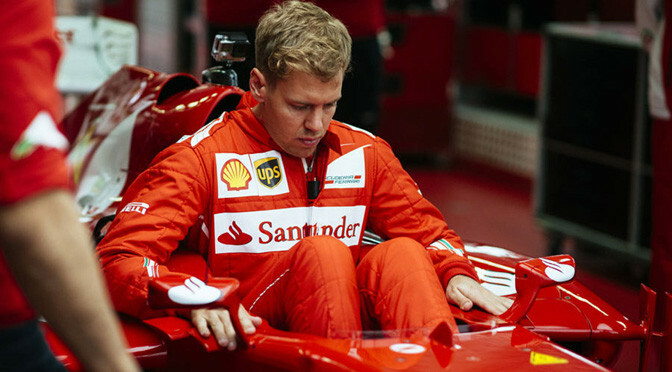 He replaces Spaniard Pedro De La Rosa, who has left Ferrari after two years with the Italian team. Vergne, 24, said joining Ferrari was an “honour” and a “dream” and that he was committed to “helping the Scuderia get back to the top step of the podium”. His employment is the latest move in a fundamental restructuring of Ferrari in the last few weeks, including the sacking of several senior personnel. This week, Ferrari have announced the departures of their former engineering director Pat Fry, chief designer Nikolas Tombazis and tyre analyst Hirohide Hamashima. They lost their lead driver Fernando Alonso, who negotiated an exit from his contract to join McLaren, and replaced him with four-time champion Sebastian Vettel. And immediately after the end of the season team principal Marco Mattiacci was sacked after only seven months in the job. The hiring of Vergne and departure of De La Rosa by new team principal Maurizio Arrivabene is a shift away from the Alonso era – De La Rosa is close to his countryman. However, fellow Spaniard Marc Gene remains as a test driver, alongside Italian Davide Rigon. Last week Ferrari signed Mexican former Sauber driver Esteban Gutierrez as their reserve driver, and the next day announced a major sponsorship package from the 23-year-old’s home country. Sebastian Vettel’s decision to leave Red Bull was influenced by the pace of his team-mate Daniel Ricciardo, team boss Christian Horner says. The German, who won four titles with Red Bull from 2010-14, has joined Ferrari after a year in which Ricciardo won three races and Vettel none. 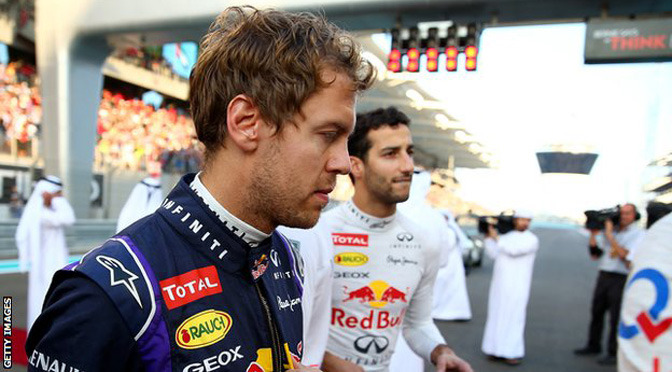 Horner says Ricciardo was “probably a factor” in Vettel’s decision. And he said the Australian’s overtake of Vettel at the Italian GP was “quite a defining moment for Sebastian”. Ricciardo dummied Vettel into the second chicane at Monza, feigning to pass one way before going the other, to beat him to fifth place in the race. Horner, speaking in an interview for the BBC F1 review show, said of Vettel: “He was enormously frustrated after that grand prix. “It was at a time where after the summer break, knowing Sebastian as well as I do, I could see he was very distracted and it was obvious something was at the back of his mind. Horner said he was “not really” surprised Vettel decided to leave and move to Ferrari as a replacement for Fernando Alonso, who negotiated an early exit from his contract. 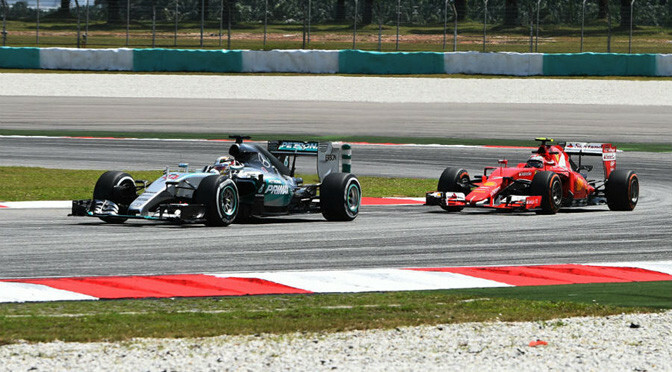 Horner said he believed Vettel had made a final decision on his future between the Italian and Singapore races in September. 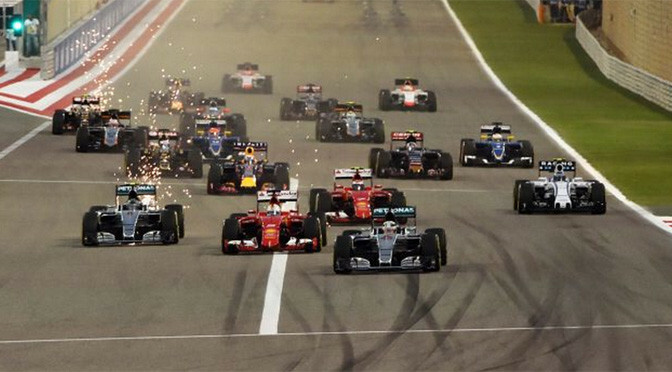 “By the time he got to Singapore you could see he was a different person,” Horner said. Vettel has insisted he is “not running away from anything” at Red Bull and that he simply wanted a change of scenery and the chance to drive for Ferrari, where his childhood hero and later friend Michael Schumacher won five world titles. Vettel will be team-mate there to Kimi Raikkonen in 2015. Horner said: “The timing was right for Sebastian. He’d had a great run with us. He’d been with Red Bull since 12 years of age. 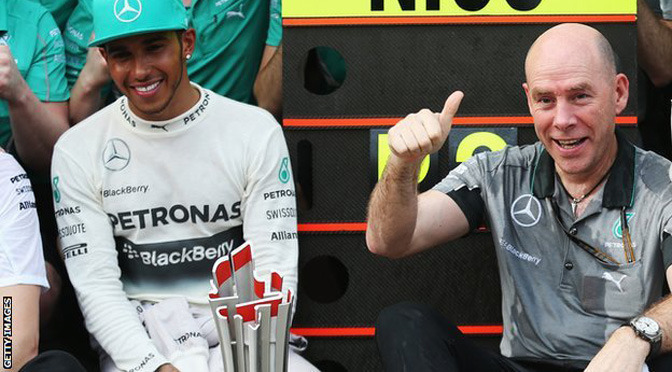 One of Lewis Hamilton’s key technical staff at Mercedes is to leave the team and move to Ferrari. Jock Clear, Hamilton’s senior performance engineer, will effectively be the replacement for Pat Fry, Ferrari’s former engineering director. Clear is to lead Ferrari’s track-side engineering once he has worked a lengthy notice period with Mercedes. 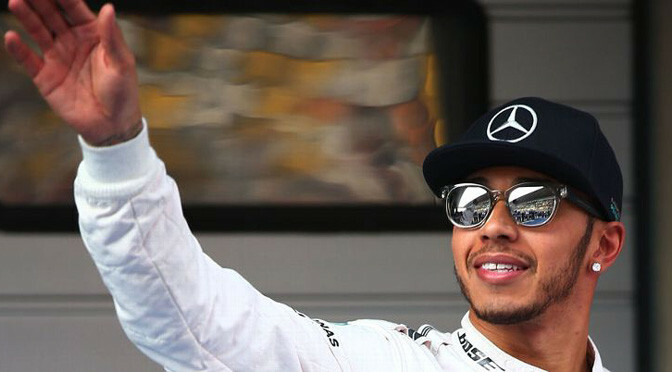 Clear continues to work for Mercedes, who will assess how to reorganise Hamilton’s engineering staff in the new year. He joined British American Racing alongside Villeneuve, with whom he had worked at Williams, when the team were founded in 1999 and stayed through the team’s guises as Honda and Brawn and into Mercedes. 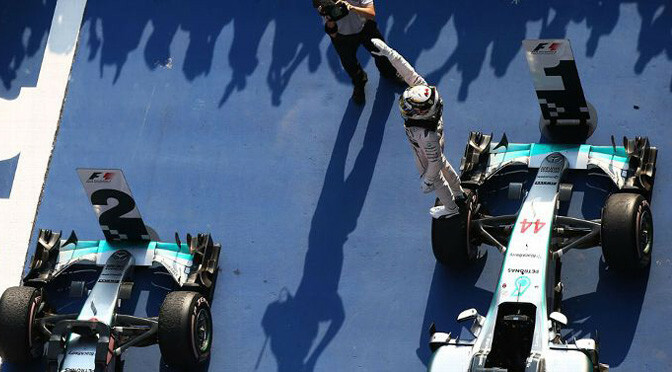 His role at Mercedes was as one of three chassis engineers assigned to Hamilton’s car, assisting the new world champion’s race engineer, the primary contact with the driver, with data analysis. Ferrari have also tried to recruit Mercedes’ former technical director Bob Bell, who resigned in April and left the team in November.